"For my money, the single most important device for getting nerves and muscles ready to execute the golf swing properly is the forward press. I've never made a golf swing that did not start from a forward press, and I've never met a golfer who failed to play better after learning to trigger his swing this way." Sam described the forward press as a "very simple move," where "both hands press the club very slightly toward the target, while the right knee simultaneously inclines slightly toward the ball." By making this press with the hands and the right knee, Sam tells us, the weight shifts a little toward the target and as the weight shifts back the takeaway begins "almost as a reflex or rebound action." "Coordinating the action of the hands as they move the club back with the turning of the rest of the body is extremely difficult from a dead stop... The forward press eliminates that kind of initial jerkiness, by stimulating in one small action all the nerves and muscles used in golf, and thereby allowing the full swing to be initiated as a reactive movement, rather than in cold blood. Although the action of the press may seem slight in some tour golfers, it must always be positive and never tentative. That's why I tell golfers who are still in the process of grooving their swings to at first make the press so firm that they can see the shaft of the club bend a bit. Later on, most players do not need to apply that much pressure. But it really is up to the individual, finally, to decide just how pronounced an action he needs to take to get his swing triggered smoothly." I have often had playing partners comment that I sometimes really bend the club shaft when making a forward press. I never think about doing it. It just happens; often more so when I'm under pressure, or facing a particularly difficult shot. I had never really thought much about it until I read this information from Sam. "There is thus nothing old fashioned or artificial about a good forward press. It is a natural and vital part of your starting procedure. It helps keep a young swing fluid and an old swing young." Labels: Golf. 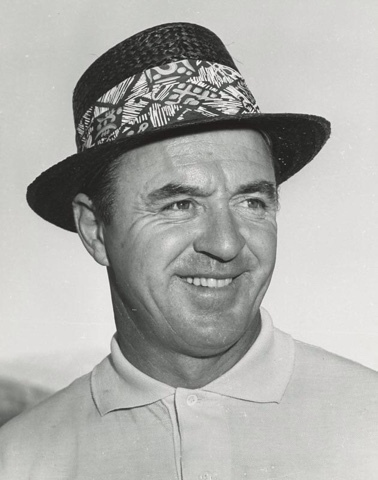 Sam Snead. The Golf Swing. 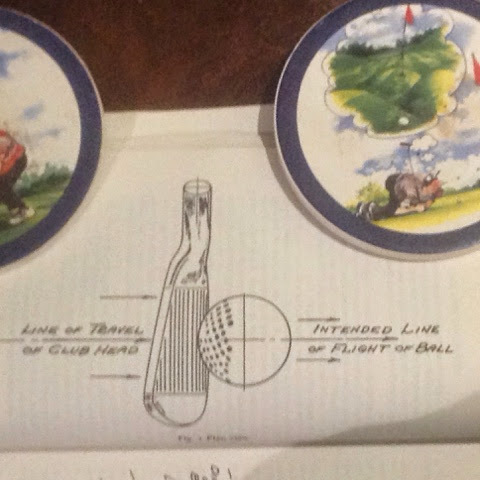 Sam Snead on Finding the Swing That Feels "YOU"